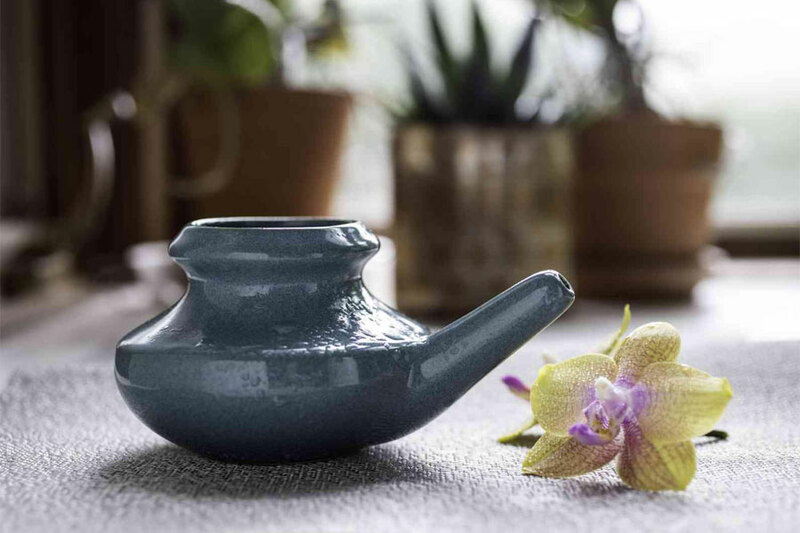 The neti pot is extremely common in south East Asia, known to speed up the healing process for the common cold. The name itself originates from a yoga technique and its definition is simply ‘water cleansing’. From using the neti pot results have included a heightened sense of smell and taste along with clearer vision and an overall cleansed feeling from within the sinuses. The pot itself can come in many different forms but the technique is much the same. Neti pots are used for nasal irritation and blocked sinuses. They include many benefits that will help your symptoms to subside and begin to clear completely. If used correctly neti pots can give almost instant relief. Nasal problems can stem from allergies or an infection such as a cold or sinusitis, the neti pot can help eliminate postnasal drip, significantly reduce sinus infections and give am overall improvement for general sinus health. The Himalayan In statute Original Neti Pot is a naturally cleansing and refreshing neti pot that helps to protect the nasal passages. It is recommended by doctors worldwide and has been proven to show immediate improvements from regular use. Sufferers of sinusitis or nasal irritation find the Himalayan neti pot easy and comfortable to use with its ceramic material made with lead free ceramic with a slight glaze along with a distinctive shape and appearance, this allows for the perfect flow of water to perfectly cleanse the passages of the sinuses. The pot itself was introduced by the Himalayan Institute in 1972 and is still going strong with a creditable customer review. The instructions included provide illustrations to ensure correct usage as well as an online link to watch a free demonstration video to see the pot being used first hand. The profits collected through the Himalayan neti pot benefit both educational and worldwide environmental projects. Removes pollen, mucus and dust along with other common irritations that affect the sinus passages. Provides the nasal passages with a smooth and dry sensation. 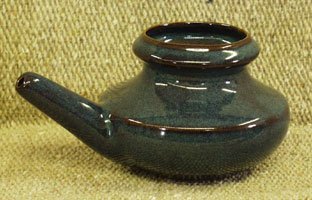 With its elegant design resembling an elephant this neti pot is a lead free ceramic pot with is easy to hold and provides a comfortable yet effective rinse for your sinuses. Whether it is to relieve pollen or allergy symptoms or to help clear a sinus infection the neti pot will give results. Netti the elephant has a long trunk; this is the key to the 50% increase in the flow compared to other neti pots giving a better result every time. The fun and eye catching design means this neti pot is also appealing to children as well as adults making the cleansing process a more enjoyable task and less frightening to children. Encouraging children to use a neti pot will relieve the symptoms they are suffering from and ease them into the process if it is something that may need to be carried out on a regular basis. Having such a distinctive design also means it is easy on the eye and looks attractive when not in use. Removes mucus from within the sinuses. Provides 50% better and faster flow giving a much more effective rinse. Removes pollen and sinus irritation. Great design, fun for both children and adults. There are millions of sufferers with sinus irritation or reoccurring sinus infections. 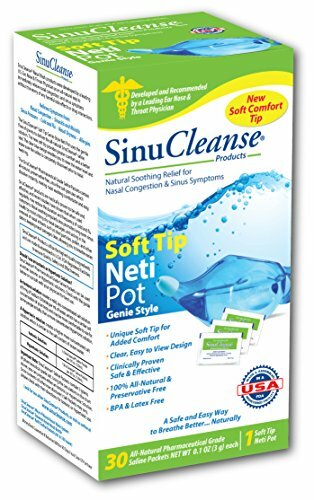 Sinucleanse neti pot is an all-natural nasal washing device that was developed by Dr Diane Heatley who is a leading ear, nose and throat physician. It was discovered in a help to relieve patients of their symptoms in replace of any pills or sprays that can have side effects when used. Sinucleanse assists in sinus, nasal and allergy irritation such as post nasal drip and even dry air problems that can occur within the nasal area. 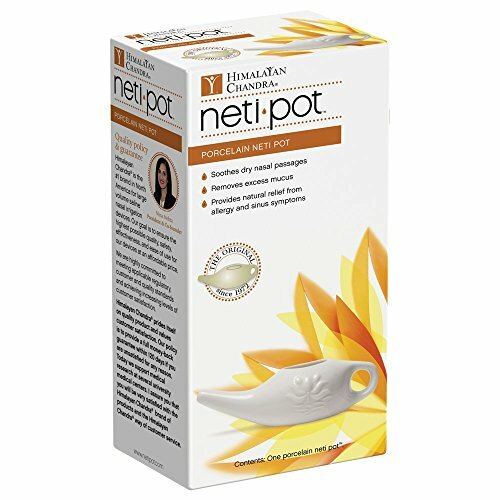 This neti pot provides a deep cleansing action within the passages that is both easy and safe to do. With regular use of the Sinucleanse alongside any prescription medicine can provide long-term improvements in sinus health. Using all natural ingredients this allows for use by everyone, including the signs and symptoms of rhinitis during pregnancy. Developed by a leading ear nose and throat specialist. Latex and BPA free, using a recyclable material.